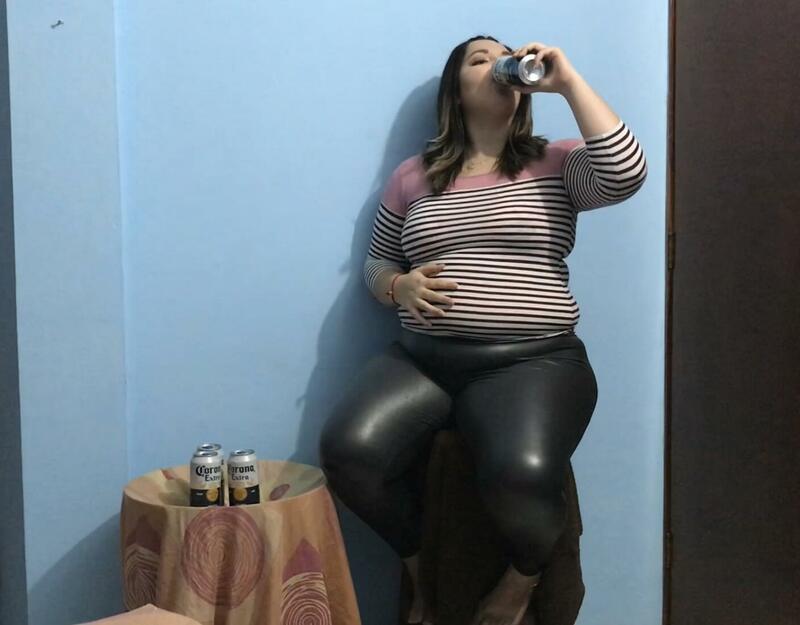 ...You already haves Laura begging you to stop the feeding party, but you can’t stop to enjoy al her curves and all her delicious extra fat so you keep feeding her belly and giving cans and cans of soda and beers, with no excuse you’ll be stop until she ends the third hamburger. 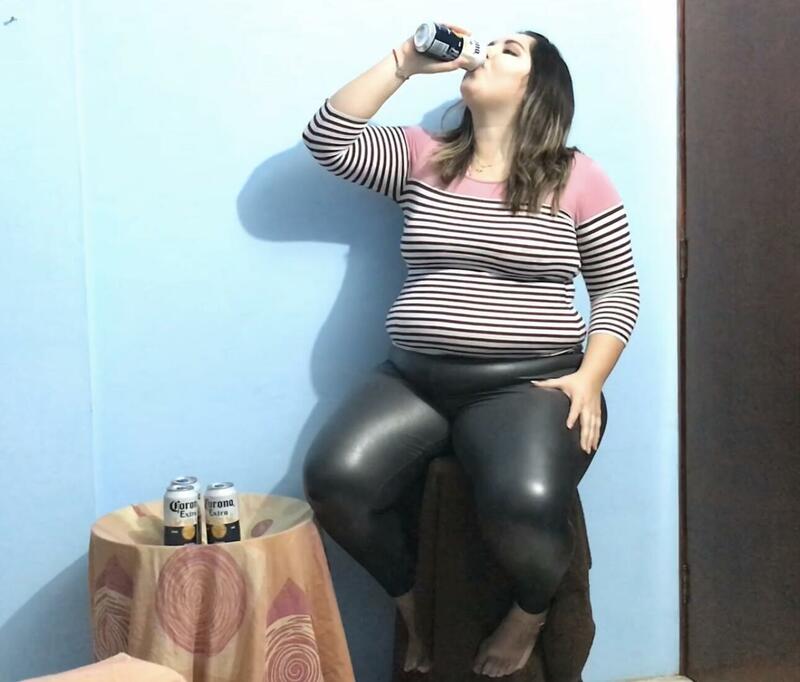 Her burping is extremely hot and the shape of that belly stuffing to the maximum doesn’t have price. This was the ves idea that you can have. By the end Laura can’t even say a word, her breath is heavy and her belly is gonna be your huge and soft phillow.